Monster Hunter Generations debuts in third place. 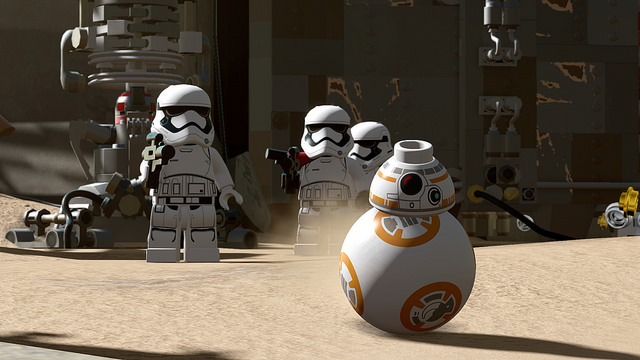 For the third week in a row, TT Games’ LEGO Star Wars: The Force Awakens is the number one selling game in the UK across all platforms according to Gfk Chart-Track. Interestingly, Overwatch fell from its spot last week to fourth place this week while Uncharted 4: A Thief’s End moved up to second. Monster Hunter Generations debuted in second place for the Nintendo 3DS and given the popularity of the franchise, it’s pretty expected. Grand Theft Auto 5 simply refuses to leave the charts at this point almost three years later and it’s in fifth place. DOOM is in sixth followed by FIFA 16, Call of Duty: Black Ops 3 and Rocket League. Fallout 4 is a rather interesting surprise at 10th place especially since it moved up from 20th place. What are your thoughts on the previous week’s best sellers especially since there aren’t any major titles till August? Let us know in the comments below.